High Efficiency Furnace: Is it the best option? 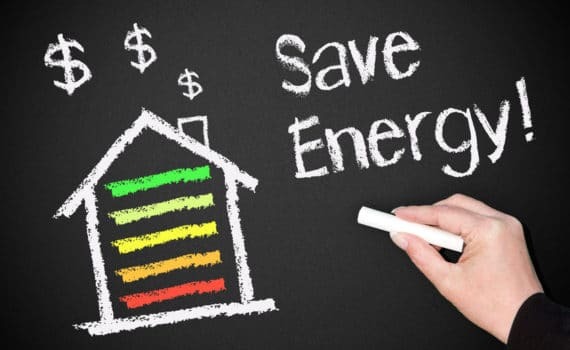 Today, “high efficiency” is a common term used to describe appliances and products, such as a high efficiency furnace, that are much more efficient than those of the past and help keep more money in your wallet. And this is absolutely true…in most cases. But, sometimes the high efficiency option might not be what’s best for you and your specific situation. How so? I’m glad you asked because I’m going to explain it in this post! What exactly is a High Efficiency Furnace? In today’s standards, a high efficiency furnace is a furnace that has an AFUE rating of 90% or more. You are probably wondering what the AFUE rating actually means. Let me explain: AFUE stands for Annual Fuel Utilization Efficiency. The AFUE rating simply refers to the amount of produced heat that is actually used to heat the targeted area(s). For example, let’s say you wanted a high efficiency gas furnace with an AFUE rating of 90%. This would mean that 90% of the heat that is produced during the heating process is used to heat your home or business. The other 10% is lost during the process. It’s important to note that furnaces that are around 20 years old only have an efficiency of about 60%. That means around 40% of the produced heat is lost. So even today’s furnaces that aren’t considered “high efficiency” furnaces are still much more efficient than those of the past. The minimum AFUE rating today is 80%! So now that you have a grasp on what the AFUE rating actually translates to, you can better understand how this rating applies to the efficiency of the furnace. For example, a high efficiency furnace with an AFUE rating of 95% is more efficient than a furnace with a rating of 80%. At least as far as using the percentage of the heat that is produced. The AFUE rating is what gives the furnace the “high efficiency” tag. But, there are other factors that can also make a furnace more efficient when it comes to saving money on your energy bill. Variable stage/modulating furnaces: A standard single stage furnace blows out the heat at one stage, one speed, all of the time. This is an attribute of most older standard furnaces. Now we have furnaces that come with two stage or even modulating stages. These variable stages deliver the heat at a speed that is both efficient and sufficient. A standard one stage furnace delivers the heat at a max 100% capacity. It can feel like a heat wave in some cases. 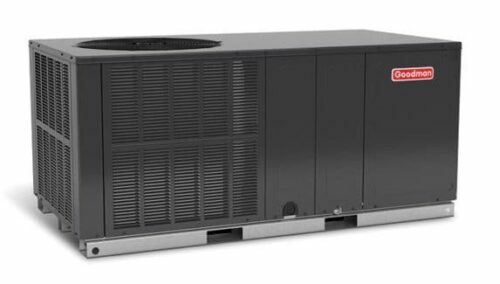 The two stage versions, on the other hand, will normally have one stage that delivers heat at it’s 100% capacity, and a second stage that delivers heat at a lower percentage capacity but still at a rate that heats your home or business comfortably. This slower delivery rate requires less energy than that of the 100% max capacity rate. A modulating version furnace produces similar results as the two stage versions, but it has even more options and stages at which it can deliver heat. Now, the modulating stage option is normally only available with high efficiency furnaces (AFUE of 90% or above). But, you can get the two stage option with a high efficiency furnace or with a standard furnace (under an AFUE 90% rating). Programmable Thermostat: A programmable thermostat allows you to set the temperature to a desired level at certain times of the day and night, automatically. For example, you can have the temperature level change to 67 degrees when you are at work. When you get off, the thermostat can adjust itself to 72 degrees. That way when you get home it will be at your desired comfort level. More factors: Other factors that can improve the efficiency of a furnace or any heating system includes routine maintenance of the unit itself (air filter etc), the duct work being free from leaks and insulated, and even having a zoned system setup. A zoned system allows for certain levels or rooms to be set at specific temperatures rather than the whole house or business being one temperature. 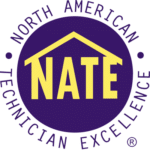 So far I’ve covered what a high efficiency furnace is according to today’s standards and also other separate factors that can improve the efficiency of a furnace. Now I want to briefly discuss something that’s very important when considering buying a high efficiency furnace: high efficiency furnace venting. The venting process of a high efficiency furnace is different than that of a standard conventional furnace (under 90% AFUE). Normally, a standard furnace is installed in an area that is vented. Vented simply means that the area isn’t closed off. It has an opening or vent for the local air and byproducts to escape from the combustion process. An example of this would be a vented attic. Another options is a venting tube or piping that is installed to transfer the byproducts out of the area. This is normally a vertical venting system. With a high efficiency furnace, the byproducts that are created are more acidic and harmful to the home and venting system. For this reason a special venting system has to be installed. This system is usually made of PVC pipe that runs the byproducts (carbon dioxide and water) out to the side of the building. If you don’t already have this sort of venting system installed, then this will add to the furnace installation work for the HVAC technicians. Lastly, let’s discuss the cost of a high efficiency furnace. A high efficiency furnace can cost up to twice as much as a standard furnace. Now, for many people this can be manageable. This is because over time the efficiency of the furnace and the savings it produces on the bill will balance out the upfront cost. But for others, the difference in upfront costs compared to a standard furnace just isn’t worth it. Of course, most HVAC companies do offer financing options, so the upfront cost can be spread out over a period of time that is suitable to the homeowner or business owner. I hope this post has helped shed some light on what exactly a high efficiency furnace is and it’s benefits, along with other important factors when considering your next furnace setup. If you live in the Jackson TN or surrounding areas, give us a call today at 731-300-1030 if you have any questions or would like a free estimate for a new furnace system. At Cagle Service, your satisfaction is our goal!